Media reports on 26JUN14 indicate attempts by the Maliki government in Baghdad to procure combat aircraft to be employed against the 2014 Northern Iraq offensive. This brief post will discuss these potential developments. COMMENTARY: Iraqi PM Nouri Maliki has on a number of recent occasions publicly identified a lack of capable, fixed-wing combat aviation as a cause for ISF difficulties on the battlefield, as well as declaring the employment of U.S. airpower conditional on his removal from office. As such, public statements by officials in Baghdad related to potential airstrikes should be viewed within the context of political posturing inherent with the forming of Iraq's next government at a time of crisis. "We should have sought to buy other jet fighters like British, French and Russian to secure the air cover for our forces; if we had air cover we would have averted what had happened," he went on. COMMENTARY: The Kurds had lobbied hard for Washington to deny fixed-wing combat aircraft such as the F-16 to Iraq, with the aim of denying a further empowerment of the Maliki government. Any delays by their lobbying effort paid off during the 2014 Northern Iraq offensive, with Baghdad powerless to prevent the Kurdish seizure of Kirkuk. In addition to the Kurdish lobby efforts, Iraqi perception of delayed deliveries of American-made combat aircraft had been a source of friction made public many times in the past. Providing of sophisticated American weapons remains an effective source of leverage on nations where divergence of interests may affect relations. Director of the Center for Analysis of World Arms Trade Igor Korotchenko suggested that Iraq has purchased six Russian Su-30K, which is being repaired in Belarus. "Probably, it is about six Su-30K, which are available in Belarus 558 aircraft repair plant in Baranovichi," - said Korochenko RIA Novosti on Thursday. 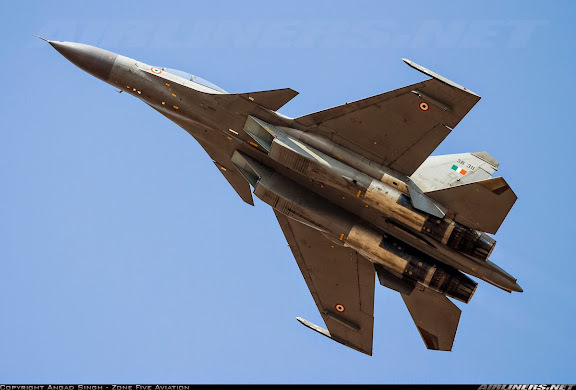 He explained that it is part of a batch of 18 Russian Su-30K, which were returned after the operation in the Indian Air Force in accordance with the terms of the contract and passed on repair and restoration of the Belarus plant. He suggested that in addition to these aircraft, Iraq could also be interested in the purchase of MiG-29 aircraft and attack helicopters Mi-24, already in operation or in Russia or Belarus. COMMENTARY: Earlier in the week, there were rumors and reports that Iraq had requested combat aircraft that decades before escaped to Iran during the Iran-Iraq War. If accurate, this writer had interpreted this development in terms of Iran potentially providing military aircraft to Iraq in Iraqi markings, using Iranian air and ground crews. Such arrangements would in ways be similar, historically, to American aircraft using Republic of Vietnam markings in the Farm Gate operations, during America's early involvement in the Vietnam War. It is assumed that should these Russian aircraft materialize in the time frame indicated by Iraq's PM, such foreign-operated arrangements appear likely. Iraq didn't lose the territory to these goons because Iraq doesn't have aircraft. the territory was lost because the iraqi military refused to fight and dropped their weapons and ran. the aircraft will be very helpful in defending Baghdad but it won't replace infantry willing to fight...... and it won't win the loyalty of the non-Shia Iraqis. it's not going to be easy for Maliki or anyone like him to re-unite Iraq. but Iran doesn't really care about that. what Iran wants is to keep the corridor to Syria open and will be happy to dominate the Shi'a rump if they can clear a path to the Syrian border. Farm Gate operations comparisons for potential use of Iranian aircraft with Iraqi markings manned by Iranian pilots in Iraq is a really apt and good comparison. But I don't think the author intends to imply that the Iranians may potentially impose themselves upon the Iraqis in a manner reminiscent of how the U.S subdued the South Vietnamese around the time referred to – when they imposed unpopular regimes in Saigon who subdued the Vietnamese population there. Although South Vietnam for obvious reasons isn't very analogous to Iraq or the present crisis there. The fact that Maliki government is now preferring Russian fighter jets has multiple aspects, one of them, believe me or not, to circumvent the trade sanctions of arms on Iran and Syria. Iran is keen to get modern Su-30 jet technologies in its hands for re-engineerng purposes and it has not been possible due to sanctions and the Russians refusing to give Iran the necessary technology as they know the Iranians would go the Chinese way of re-engineering the aircrafts. But the planes the Maliki government is looking for fighting the rebels are Su-25 and also Yak-130 which both Iran and Syria today posses. So if Russia okays the export of these aircrafts, day 2 Iran and Syria will remark their own Su-25 and Yak-130 jets with Iraqi markings and start operations against the rebels pretending these are Iraqi jets. Regarding F-16, Iran is no longer interested in Iraq getting these jets from a technology spionage aspect as Iran has received extended information from mainly Pakistan and Venezuela on F-16s. Iranian pilots have flown it and engineers have received extensive training on it, so Iran knows F-16 inside-out. Iran also helped Turkey during a secret exchange program to discover the devices installed on Turkish F-16s which prohibited them to fire on US and Israeli planes. What Iran has mainly been interested in is the F-18 Super Hornet as it is the multi-role jet US has been using to replace its F-14 fleet single purpose jets. However this plane is only operated by US and Australia making it difficult to get any information on. Iran tried first to find some ways through Kuwait and Malaysia on F-18 (not the Super Hornet variants) but these were not successful either. Iran still hopes to be able to turn its Saeqeh (F-5 with a V tail) into a larger model like F-18 with more stealth capabilities so that it can replace its againg F-5, F-4 and F-14 jets with one single multi-role jet sometime in the near future.